I feel pretty awful. The Born Pretty Store kindly sent me a couple more items. I finished a couple of looks but then my dog got really ill, passed away and I could not muster the energy to work on the review! I jumped at the chance to try some nail art tools I had little practice with namely, a small detailing brush! 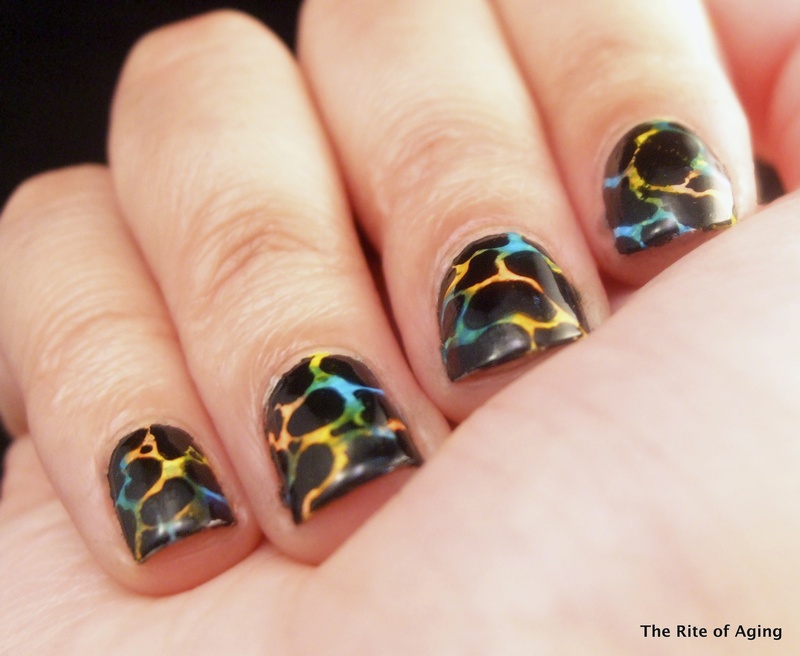 I own a couple already which are actually quite difficult to work with on a smaller nail bed. When I saw the cute transparent Liner Brush I badly wanted to give it a go. The cute crystal filled handle was an added bonus. The below pictures are courtesy of the Born Pretty Store website! 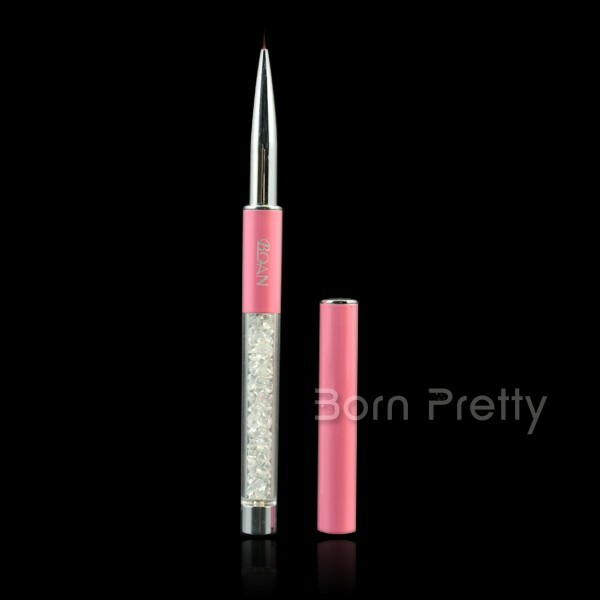 The only difference between my tool and the above pictures is the crystals are pink instead of white. As the transparent crystal are just for fun, it is a moot point. Heh! Below are a few of the manicures I made! 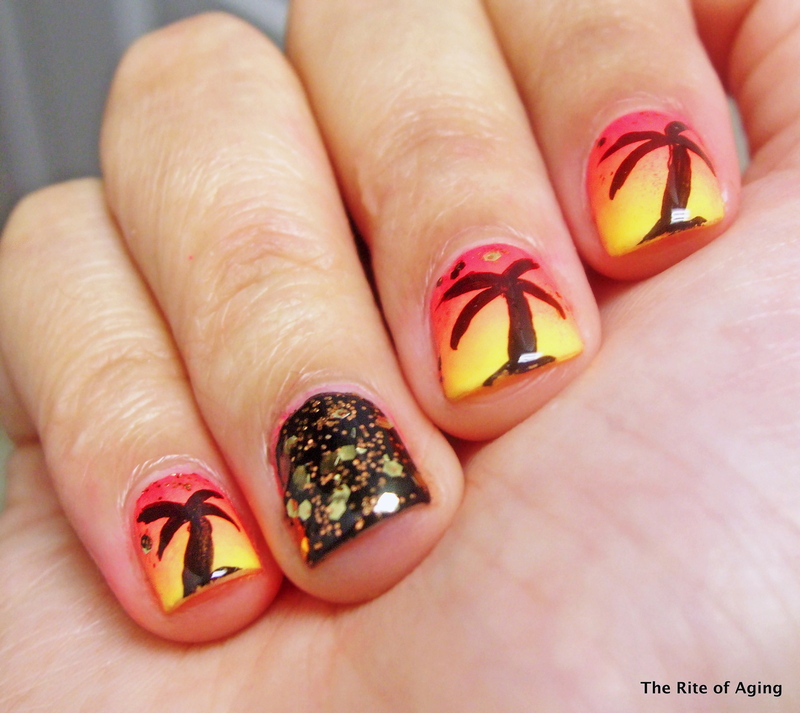 I finally had the guts to try the cow print and palm tree gradient. Eh, I tried them in the past but never got the detailing quite right. Using a smaller, more precise brush really made a difference! The brush is a little bigger than I anticipated. This being said, it is still smaller than any other brush I own. The bristles hold up well with acrylic paint, water, nail polish, acetone and oil. I have not experienced any bristle fallout or kinks and it holds its shape very well! (I use the oil to maintain shape after every use). I really like this brush. I can create more intricate looks and am thrilled with the looks I made. If you’re interested in placing an order at the website feel free to use my 10% off coupon code! Oh hunny, I’m so sorry about your poochie.